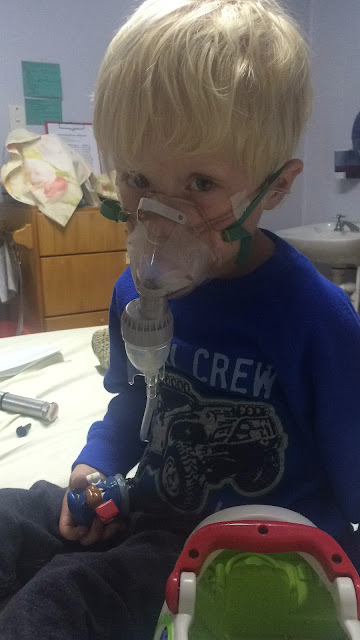 Jones' Clips: Gavin and Carrie Jones' Blog: Back on oxygen again! Seth had a mild cold yesterday, then last night I heard him coughing in a weird way so went to give him inhalers. 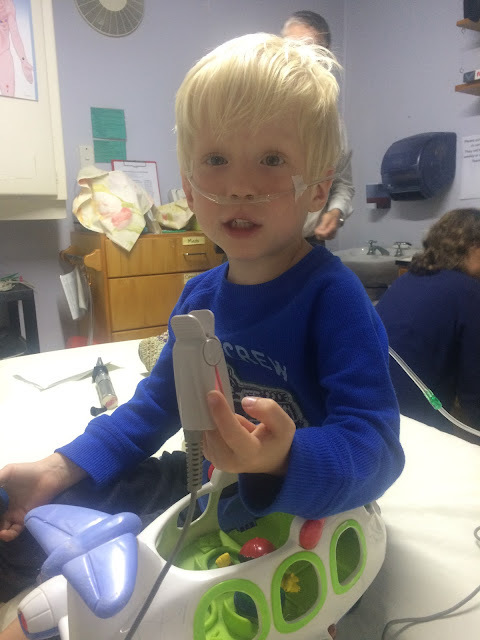 He was breathing a bit fast and grunting with effort, and his oxygenation didn't come up above 85% even after all his treatments. So here we are. He acts completely normal otherwise! Receiving his nebulizer treatment after midnight; our poor clinic staff!